Yes, that’s my guild’s raid last week. We went into Black Temple to take down Illidan. It was a run we did purely for fun; something that seems to be missing from the game right now for some people. In the wait until Cataclysm is released many folks have lost interest and/or are playing less often. 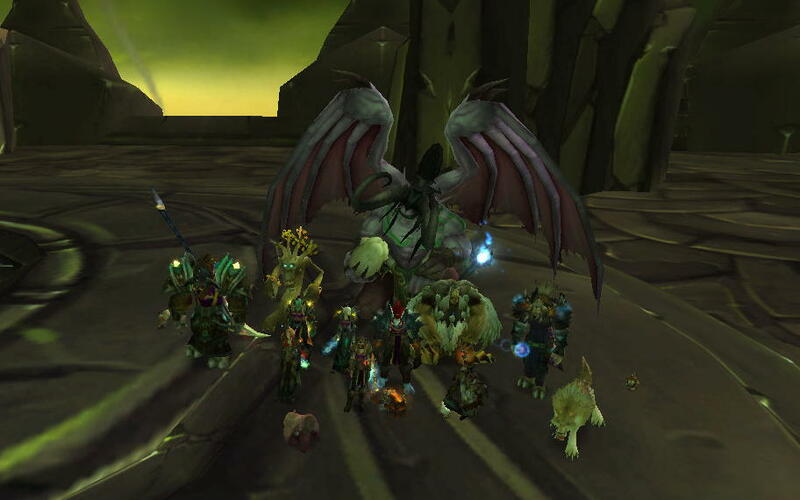 For a casual guild that only schedules one day a week for raiding for 2-3 hours (east and west coast players) getting 10 players online can sometimes be difficult. So what do you do? You visit content that can be done by 7-8 players. By the end of the run we did have 10, but that was through text messaging folks that particularly wanted the achievement and late loggers. It was particularly fun trying to accomplish this with 1-2 tanks and 1-2 healers. We had one of the tanks and one of the healers switching to dps whenever we could get away with it. I can say that aside from the Reliquary of Souls, Illidari Council, and Illidan most of the fights could easily be single healed and single tanked. We did all of the fights but those three without reading any kind of boss strategy. The Reliquary and Illidan were the only ones that resulted in a wipe, simply because we needed to see and experience the strategy once to understand what we were doing. The laughter and comraderie that we expereinced was just fantastic. 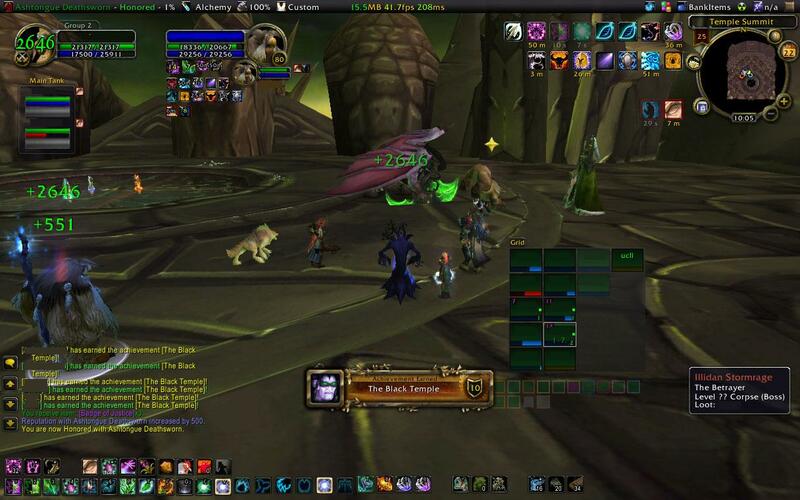 This entry was posted in Friends, Raiding by Makakai. Bookmark the permalink. Congrats on the kill. I love going back to clear old raids every once in a while.